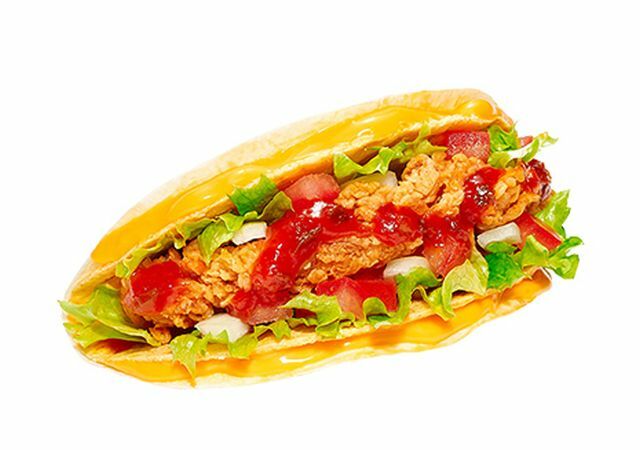 KFC is offering new tacos filled with fried chicken strips over in South Korea. 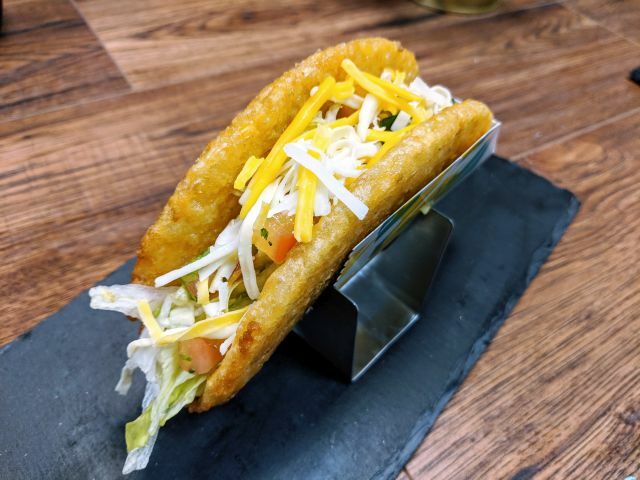 The new Zinger Tacos are similar to the sister chain Taco Bell's Cheesy Gordita Crunch in that it features a crunchy taco nestled inside of a flour tortilla (instead of a Gordita) held together by a layer of cheese sauce. Inside the shell is a Zinger fried chicken strip, lettuce, tomatoes, onions, and salsa. Zinger refers to the chain's spicy, extra crispy chicken. The term isn't used here in the U.S. 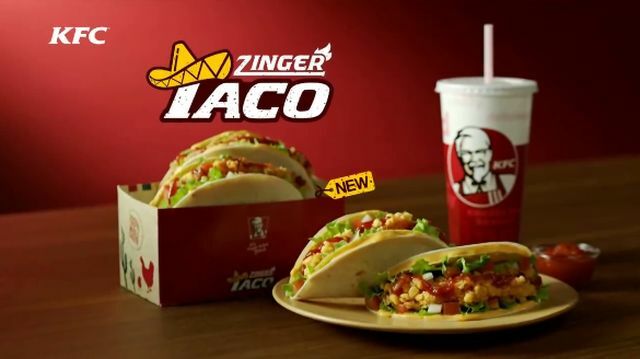 The Zinger Tacos are being sold for 3200 won (~$2.57) a piece. KFC offered something similar over in New Zealand back in 2014. Interestingly, unlike New Zealand, South Korea has Taco Bell as well as KFC.